Cím: 2220 Vecsés, Bercsényi u. 28/a. The Belma Ltd. was founded in 1991, under the leadership of our director, Mihály Szappanos. 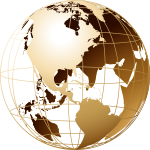 The company is specialized in producing globes, and uniquely in this industry, manufactures manually mounted globes. Beside the globes made by careful manual work, we also offer vacuum-manufactured products in different sizes. The globes are continuously updated both politically and geographically, soonly became popular in Hungary as well as foreign countrys. Belma has an extensive network of retailers, dealing its products which are not only decorational and informational but also offered at available prices. Our globes are often can be seen in the media, since they serve as presents for exclusive guests of programmes. These products are not only magnificient school equipments but also may be given as decorative souvenires. We are at your disposal with our wide range of products!